Eating food from Vietnam is a real treat, and Vietnamese food is rapidly gaining in popularity due to its intense flavours, tasty meat and noodle dishes, and succulent stews and soups. 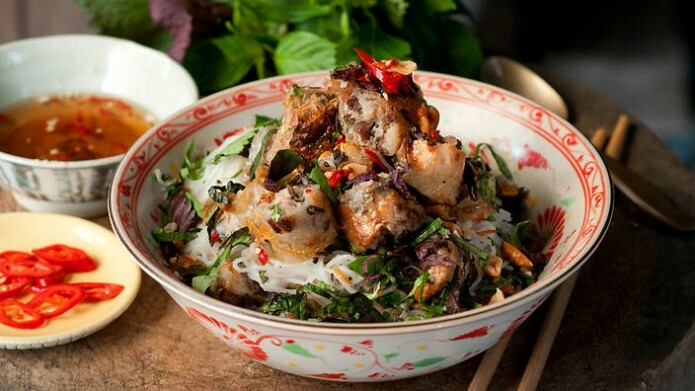 Vietnamese food is distinctive and unforgettable. Here is a quick primer on the different dishes you can expect to find on the Vietnamese menu, and why the cuisine is becoming so popular. For a start, the classic Vietnamese dish of Pho is a must-eat whether you are starting out on an adventure in Vietnamese foods or you are already an expert. When talking about a classic Vietnamese restaurant London has the top examples in the country, and these probably all serve a variation on the Pho broth. Pho is a soup made from a slightly salty broth with beef or chicken. In the soup you will also find beansprouts and noodles along with the herbs that make the dish so recognisable – coriander, basil, and ginger. Added to the mix are fish sauce and chilli. Pho is so popular it is even eaten for breakfast in Vietnam. 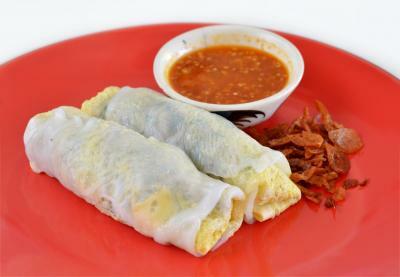 There are so many different types of spring rolls available that it is hard to choose. For example, vieteat.co.uk has a range on the menu from thin-skinned rolls to heartier, chunkier fried rolls. The healthy version is steamed and packed with salads and lean meat. The deep-fried version has more calories and both can be dipped in sauces. They make a good starter or a quick snack. Another staple in the Vietnamese food arsenal, the sticky rice cake is a chewy snack made from sticky rice and it can be stuffed with meat or mung bean paste. These cakes are cooked in banana leaves and steamed until tender and sufficiently sticky. The salads in Vietnam are nothing like the concoctions of lettuce and tomatoes you get in the West. Crisp salads may contain green mango or papaya, grated carrot, onions, fish sauce, fragrant herbs and crushed roasted peanuts. Meat or fish can be added for a main meal. Salads are crunchy and bursting with flavour in Vietnam. Rice is undeniably popular in Vietnamese food but noodles provide a delicious alternative and are found in many different thicknesses and flavours. Noodles may be eaten cold in salads, stir-fried, added to soups and stews, or served as an accompaniment to a main meat meal. So many different fruits are available from Vietnam. If you can, try the dragon fruit and the mangos – yellow mangoes for desserts and juices and green mangoes for salads. Or try rambutans or papaya. The durian fruit has a foul smell but if you can get past this, the actual taste is delicious. What is Vietnamese Coffee Like? Coffee is a big part of Vietnamese food culture ever since the French brought this drink to the country in the 1800s. People drink it all the time, and the most popular incarnations are strong plain coffee or alternatively the highly sweet iced coffee flavoured with condensed milk.